The Katelios Group is a local non-profit environmental group that has been established in Kefalonia island (GREECE) since 1993. The philosophy of the Katelios Group is the search for solutions co-existence between humans and the Nature through sustainable development. 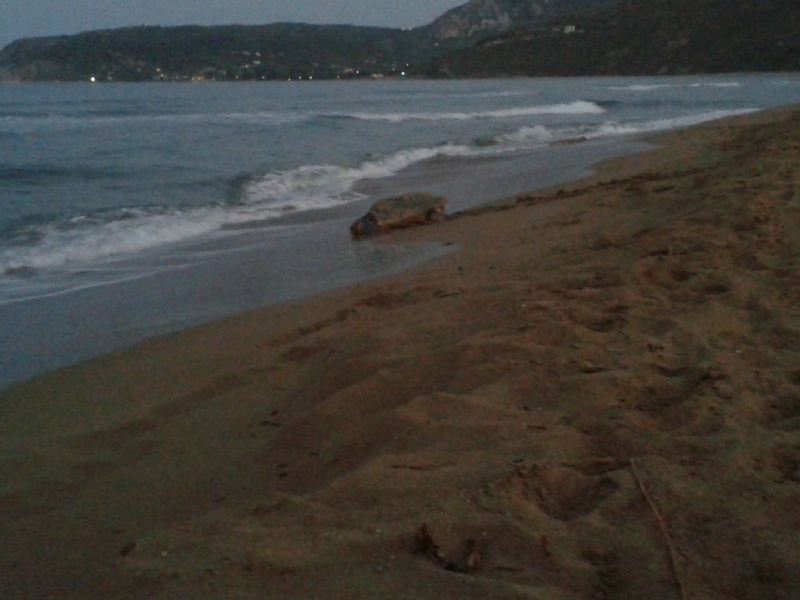 After 60 days monitoring and observation of the new born C. carettas. 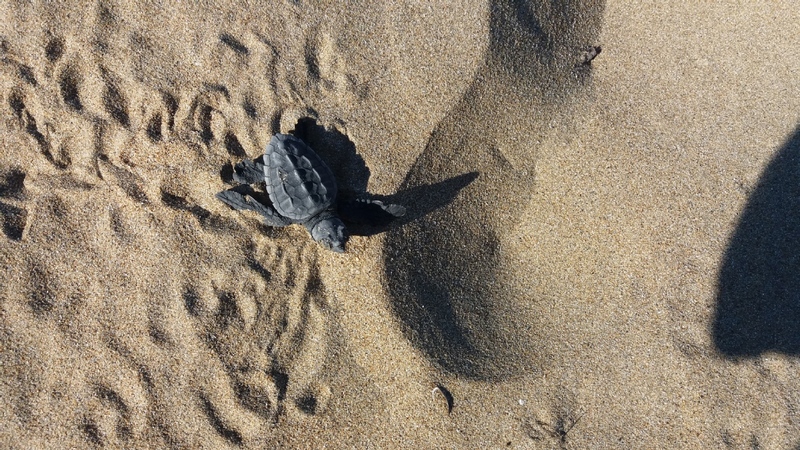 Ten days about after the last C. caretta has hatched the nest will be excavated so that the rate of successful hatching can be evaluated. 09:30-11:00 Painting, drawing and construction of information posters, Developing environmental education programs and materials for local children-Developing slide show programs for foreign and Greek visitors. 11:00-13:00 Information work at the Environmental Kiosk in Katelios village - Giving newsletters and information to visitors about Caretta caretta and the marine and terrestrial environment. 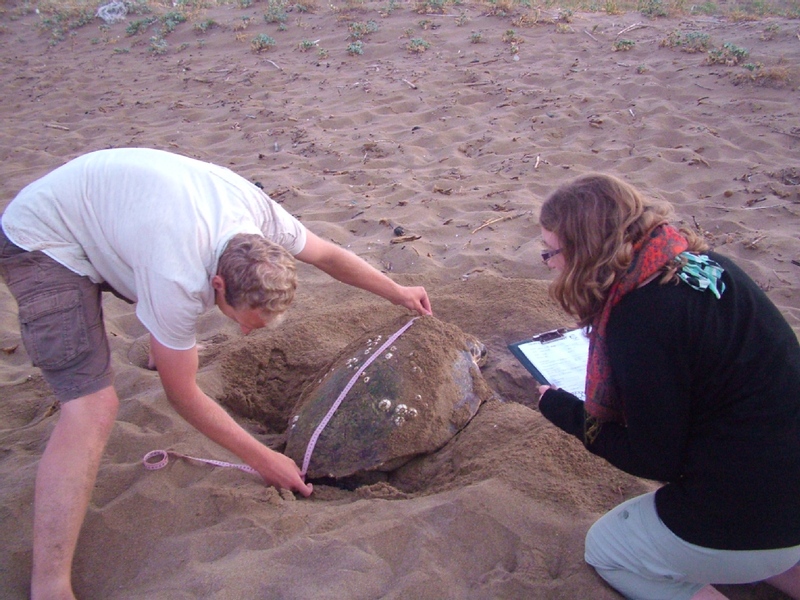 	practical demonstrations on marine turtle data collection. The earliest date for acceptance is 15tht of May 2017 and the program lasts for six months(15th of October). The minimum time of volunteer participation in the program is one full (1) month. Accommodation in rooms to let: Katelios Group provides the volunteers the list of rooms to let with their own expenses in the area of the project. Is under volunteer choice the final decision for the accommodation in the area which undertaken the project.. Accommodation indicated price in Katelios is: 700€/ monthly for a room with two single beds, small kitchen and bathroom.Volunteers could deal with the land owners for better prices. KATELIOS,KEFALONIA,INONIAN SEA,GREECE TK28086, KEFALONIA, Greece. The Katelios Group is a local non-profit N.G.O has been established in Kefalonia island (GREECE) since 1993.The philosophy of the Katelios Group is the search for solutions co-existence between humans and the Nature through sustainable development in order to support both the economy from the natural environment and the preservation of quality of life in Kefalonia.The main objective of the Group according to the first Article of its Constitution is the conservation of the sea turtle (Caretta caretta) in Katelios-Mounda Bay and the research of coastal area and the habitats of the main nesting population. Katelios Environmental and Cultural Centre of marine life and history raise awareness. We at KATELIOS GROUP FOR THE RESEARCH AND PROTECTION OF THE MARINE AND TERRESTRIAL LIFE would love to hear from you!